At Nature’s Way Pest Control, we provide bat removal and extermination, as well as bat pest control in Albany, Saratoga, Lake George, and as far north as Plattsburgh NY. 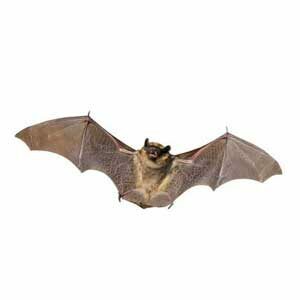 We also have bat exterminators in western Vermont. Call us today at (518) 745-5958 (NY) or (802) 855-2978 (VT) for more information, or contact us online. 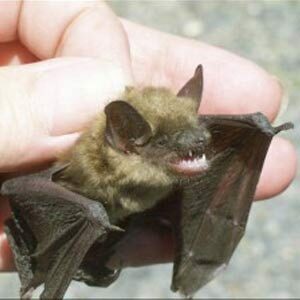 The little brown bat is now considered an endangered species in many states in the Northeast, including Vermont. 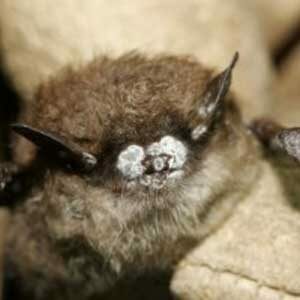 This is because of the white nose syndrome that has spread rapidly, virtually eliminating the species. Females typically re-infest the same roosting sites year after year, usually in late April. They will produce a single baby, which is fully grown and capable of flight in approximately 4 weeks. As bat pest control specialists in the Albany area and Adirondacks, we typically hear from homeowners in July, when the baby bats start flying. They have a tendency to get lost on the way back in or out of an attic and end up in area homes. “Bat season” in Upstate NY and VT continues until late October, when the bats leave for hibernation in a nearby cave. If you’re looking for bat removal services in Albany, the Adirondacks or western Vermont, call (518) 745-5958 (NY) or (802) 855-2978 (VT) to request a FREE Inspection.